Darren McErlain is a journalist, voiceover artist and Primary teacher from Sydney, Australia. Since June 8, 2017 he has been the 'Drive' Announcer on AIR-FM Penrith 88.0, 3-6pm playing the best of 80s music. Tune in at airfm.com.au OR https://tunein.com/radio/Air-FM-880-s293363/. He has recently been appointed the Sydney Journalist for Air News Melbourne reporting on Crime and Politics in NSW.. 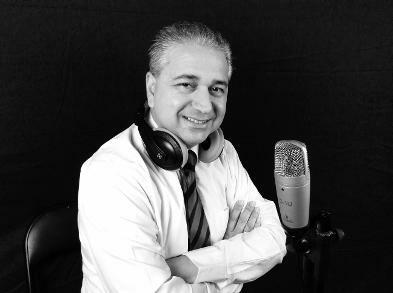 He is also the voiceover announcer for Melfeed Video (an online TV channel in Shepparton). He recently was the announcer for the Stonnington Gift on Channel 31 Melbourne, Channel 44 Adelaide and WaggaWaggaTV. He provided stories for 2XX Canberra for Jugendzeit. His voices have recently been heard on OnlyNumberOnes #1 and Kids Radio for the Target radio Network. 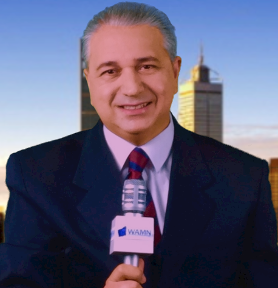 He has narrated 21 TV news reports for WA Media Network’s Evening News in Perth and HunterTV Newcastle. He was the former Breakfast announcer and weather presenter on 2NN Newcastle. He has presented the radio news and regularly appears for “News & Views” on Thursday Live on YassFM. He has recently made contributions to the successful Keepin' It Real music show on SWR-FM/Mixcloud. Radio Documentaries have included a tribute to Richie Benaud on Radio 16 Newcastle & RedFM in Asia; a story on a blind musician for Lake MacquarieFM; Seinfeld 1998 tribute on SWR-M He has been writing education based stories as a freelancer since 1994 with countless stories appearing in local newspapers and online publications. Darren produced #TrendingNews and was the main newsreader for the bulletins on twitter. He was also the voice behind the launch of community TV station InfinitiveTV, HFSTV, and online radio stations ChitChat Radio Caroline Chisholm, and commercial stations ForKidzRadio and recently a commercial station #1 Only number ones with the Target Radio Network. In 2012, he published Totally Random Poems For Kids and this has been used in classrooms in Australia and Canada. He was interviewed for This&That in Melbourne and Voice-FM Ballarat for his contribution to media, the arts and performance poetry. As a writer, he contributed to the publication: Tadpoles in the Torrens, published by the Australian Literacy Education Association in 2016. Darren McErlain Media was established on twitter to offer opinions and commentary on news and current affairs. Tweets have appeared on screen during Hinch Live, ABC Breakfast, #NX, Dirty Laundry Live, Studio 10, Ten Eyewitness News, Sunrise, Q&A and shared on Gold104.3FM, Plenty ValleyFM, 2XX and 2UE. Darren has used his media background in schools in a PR role. He was the narrator of a live school concert that was webcast around the world, using a team of camera operators in 2011. He has hosted Talent Quests, narrated plays and used puppetry to bring literacy to life. He briefly spoke to Adam Spencer on ABC702 on the role of male teachers in schools, and received a mention in the Daily Telegraph for his voice talents as a Primary School Teacher. Darren was recently interviewed on VintageFM promoting a school musical production Wizard of Oz. He has filmed, edited and produced many school-based events and organised DVD distribution. In the 90s, Darren performed an impression of the many voices of Steve Vizard, during a live interview on Recovery with Dylan Lewis on ABC-TV. He also performed an American character for Gordon Piper’s fishing videos and this was screened in Los Angeles for an international screening market .He recorded a voice-over for the Paving People and this aired on Channel 7 in NSW. He can perform a range of more than 100 different voices and sound effects. He was the off-stage announcer over 2 nights for a comedy festival held at the Enmore Theatre for 20 comedians from Australia and the USA. He also did On-Hold recordings for the help desks at Digital Equipment Corporation and Westpac Banking Corporation.. While working as an intern at ABC Radio News in Ultimo, he was invited to record voice-overs at Triple J for the Hottest 100 Volume 1 and general station IDs. While studying journalism at the University of Western Sydney, he was also Senior journalist and Editor of Unipulse, and a contributor to Student union publication Sagacity? Station IDs for Radio SCOFF, Triple C and Radio Nep.Tune were also used by journalism and media students. In the early 90s, he produced & wrote a comedy sketch programme called The Radical Radio Racket and this was syndicated to many community radio stations in Western Sydney – WOW-FM (St Marys), SWR-FM (Mount Druitt), VTR-FM (Windsor), 2CCR-FM (Baulkham Hills) and 2BLU-FM (Katoomba). It was broadcast around Australia via satellite in 1993 from 2RDJ-Burwood. His qualifications include a Bachelor of Arts (Communication), Bachelor of Teaching (Primary), from the University of Western Sydney and a Graduate Certificate in Religious Education from the Australian Catholic University. An interest in comedy and news & current affairs has played a big part in the development of this poetry book Totally Random Poems For Kids. More examples of Darren's work can be found here.